You may be wondering why I’m spending so much time to tell you about individual stories like Eddie and Andy. Since I expect personal stories to come up a lot here, let’s go ahead and talk about it. Journalism is strongest when it tells about an issue or event through people. People who were there, people who made it happen, people who were affected – their information, stories, images and voices are known in academic research as primary sources. A reporter who ties stories together and shows you the people they met creates a much more engaging experience than one who sits in front of you and tells you about the people that he, and he alone, spoke with. It sounds challenging, and it often it is. But border reporting is full of examples of short and long stories that are really glimpses of many separate stories brought together into a single piece. Take a recent broadcast story and article by Morgan Loew for Phoenix’s CBS affiliate KPHO and reporter Morgan Loew. 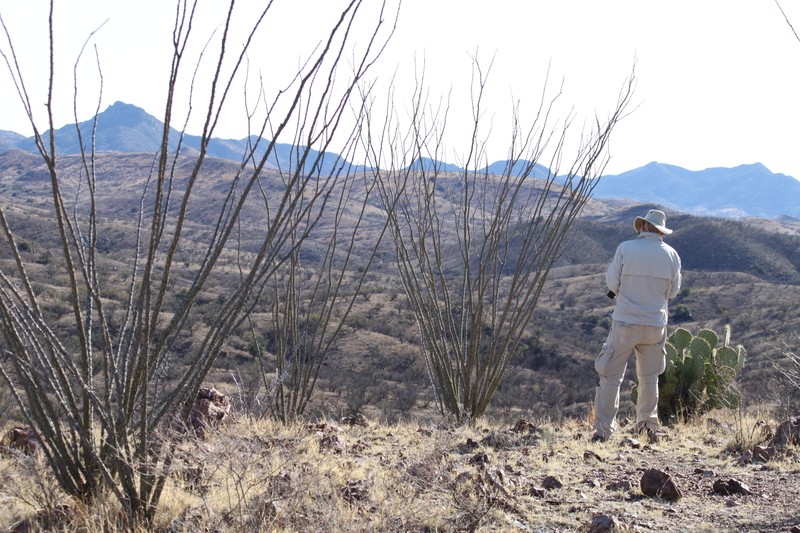 The subject is border security – more specifically, what can happens when daytime hunters overlap with nighttime smugglers in the wilder parts of southern Arizona’s landscape. I’ve hiked a few times in the area, but not extensively. I’ve never hunted – or been involved in any kind of smuggling for that matter. I’ve talked to people who’ve done both, plus law enforcement who try to keep the areas secure. And so I’ve just clearly and accurately told you the story in a nutshell with just a few sentences. More time, more research and more people, however, can turn the material from a few unmemorable lines into an engaging experience – one that might even have you thinking about the people and the issues afterwards. How did KPHO do it this time? They looked for the people. I’ve mentioned three groups of people involved: hunters, smugglers and law enforcement. KPHO shows sources from two of those groups (no smugglers are interviewed for the story – but finding sources who want to stay hidden is subject material for a whole separate series of posts). Each of those interviewed tells very different stories and give us different angles of seeing the subject. For law enforcement, Loew interviewed Santa Cruz County Sheriff Tony Estrada. Both legally and experientially, he’s a voice of authority. There are people who’ve been on the U.S.-Mexico border not for months or years but decades. 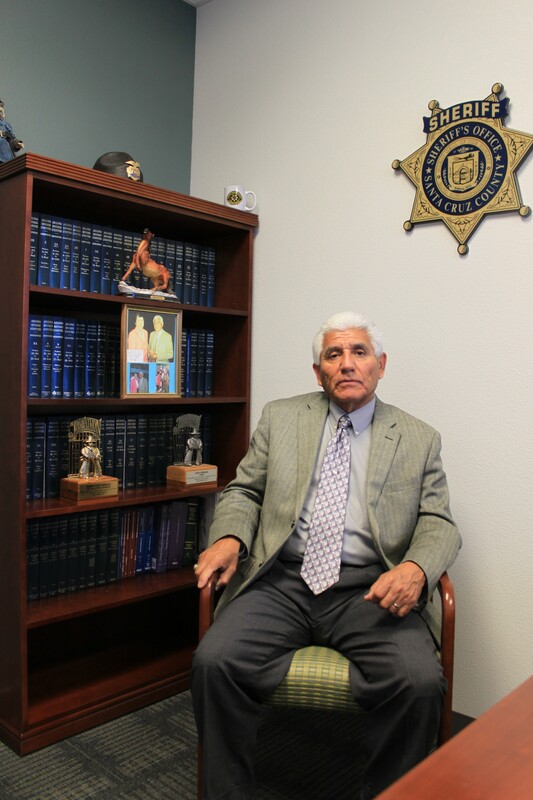 Estrada is a well-known border sheriff who grew up in Nogales and been in office since 1993. He’s a consistent presence in a fluid political and cultural landscape. He speaks to the press frequently on a variety of topics using language that can be precise and technical or picturesque and flowing depending according to need. The people Estrada’s referring to include hikers, hunters and off road vehicle enthusiasts who often search out isolated areas for their sports. 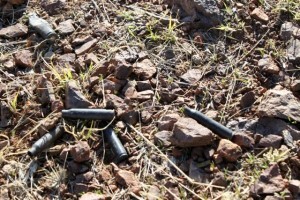 Hunting is a popular pastime in Arizona. While some prefer a more lone wolf approach, other hunters are organized (and some of these groups are very politically active). In KPHO’s piece, two individual hunters give us examples (or case studies) of what they’ve experienced and the understanding they’ve gained from direct observation. It’s a boots on the ground perspective that all too often doesn’t figure into policy making. They don’t speak for everybody, but they give the audience an idea of the general experience and with concrete details as examples. Ed Pongratz tells the audience, via Loew, about a time when he, his brother and cousin had a night time encounter with a coyote smuggling people past their campsite. While Loew doesn’t interview smugglers or people who’ve been smuggled, KPHO does find a way to make them a presence in the story by using hidden camera footage of one group moving through the landscape at night. It’s a powerful visual image on its own, and also contrasted with the daytime interviews of Estrada, Pongratz and the other hunter. It reminds us that there’s yet another side to the story even if we can’t fully explore it in this specific piece. Like each piece of a puzzle, the three different people and the hidden camera footage each add to the story. One of the things you don’t see in a report like this? The seams. There are hours of networking and source tracking, background research and preparation that go into a story like this. The interviews are scheduled and filmed, the hidden camera was set up and checked. With all the content gathered, it was fact checked and the footage was edited. There’s only one reporter on camera, but many hands helped get this on the air and on the website. After all this, in under 4 minutes, Loew and KPHO give us an example of tackling a complex issue and multiple sources. More viewpoints contribute to a more complete picture of the subject – the border region, in this case. From kids who grew up in Nogales and bought fireworks before the fence to visitors who didn’t expect the roadblocks on northbound highways, everyone has a border story down here. Talking to some of these people or only showing some of these stories means missing a bigger picture.